goods of this one was not separated from our daily needs any more who is a student. yes it was a pen. 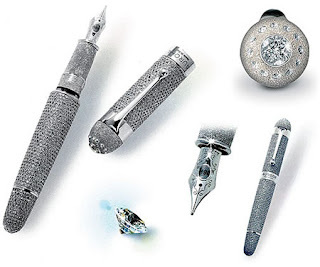 pen is very easy to find, but you are announcing that the price of the world's most expensive pen is fantastic. 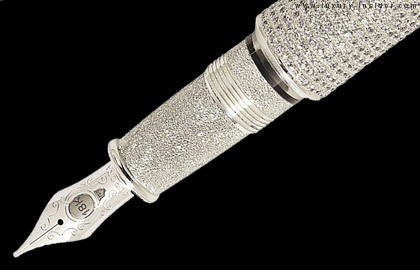 The following little about the world's most expensive pen. Listening collectibles among "The Have" can often make the eyes wide open and ears up instantly. Primarily a collection of objects that are often worn everyday as well, but the price seems unreasonable to most people of Indonesia. Like the pen of one of these entrepreneurs, The Aurora Diamante, is one of the world's most expensive pen worth $ 1.3 million dollars. In the production is very limited, and only one fruit per year. 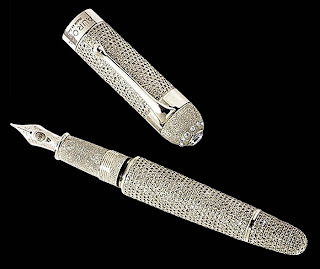 The pen is made from super luxurious platinum solid material which is decorated by more than 30 carats of diamonds De Beers. 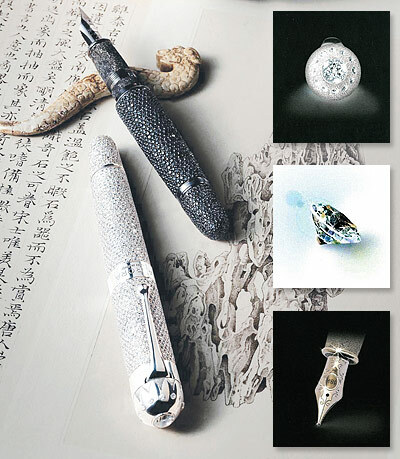 Sensation sheen light reflected by the diamond on his 'body' making users increasingly look elegant and classy. For a tycoon who has a sizeable business empire, it was a pen for $ 10 million or 20 million is still less expensive, and still less the Taipan image of self-actualization. 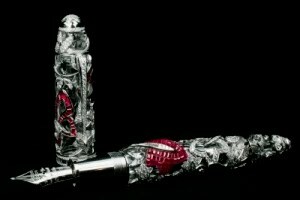 Moreover, in every business deal that is important and worth tens and even hundreds of billions, the pen also has an important role. Perhaps by the same token, they are willing to merogok pocket $ 1.3 million dollars just to buy a piece of exclusive pen The Aurora Diamante is.